Click the link to take advantage of this More Beer limited time promo code offer. There are only 14 Pliny the Elder beer kits available at this price and typically sell out fast! Coupon Description: Right now 5 Gallon Oak Homebrewing Barrels are in stock at Williams Brewing! 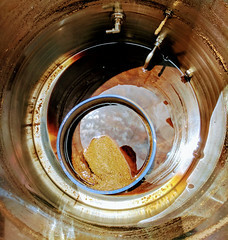 If you have ever wanted to make a true whiskey barrel stout this is your chance! Williams Brewing now has 5 gallon American Oak whiskey barrels from a leading craft distillery available in stock. These are once used barrels which have stored premium whiskey and bourbon for at least 1 year before being drained. Wood stands are included. More Beer Promotion – Get 4 Ball Lock Kegs for $199 + Free Shipping! Get 4 Ball Lock Kegs for $199 + Free Shipping! Promotion Details: Get 4 Ball Lock Kegs for $199 + Free Shipping! 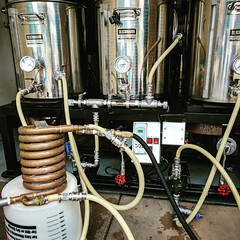 Coupon Description: Right now at MoreBeer.com you can get 4 Ball Lock, 5 Gallon Home Brewing Kegs for just $199 and also get Free Shipping! If you are thinking about moving from bottles to kegs, this is a great time to do it! 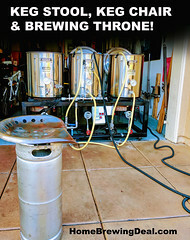 Coupon Description: Right now you can save 10% Off Any Homebrew Keg at HomebrewSupply.com. 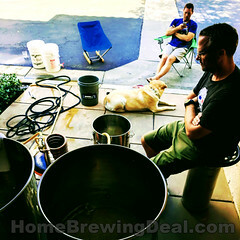 This home brewing keg sale goes until April 30th, so save while you can. The sale is also valid on their refurbished homebrewing kegs.